So we got married in March (nearly 6 months ago - where does the time go!). We have had a lot of people over the last few months asking us about suppliers we used and how we found being on the other side so I thought I would do a blog post about it! And yes - we did cater our own wedding, I know we are mental! When choosing our venue there really wasn't a decision to be made. 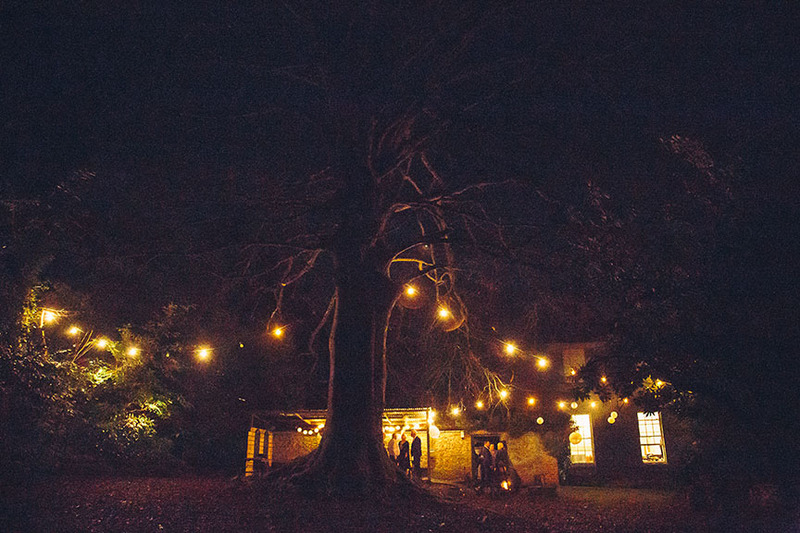 Trudder Lodge is like a second home, we cater there a lot and love the homely feel of this beautiful venue. We love that you can take it for the weekend and make it your own. We had both our immediate families stay in the house for the wedding weekend which was really lovely. 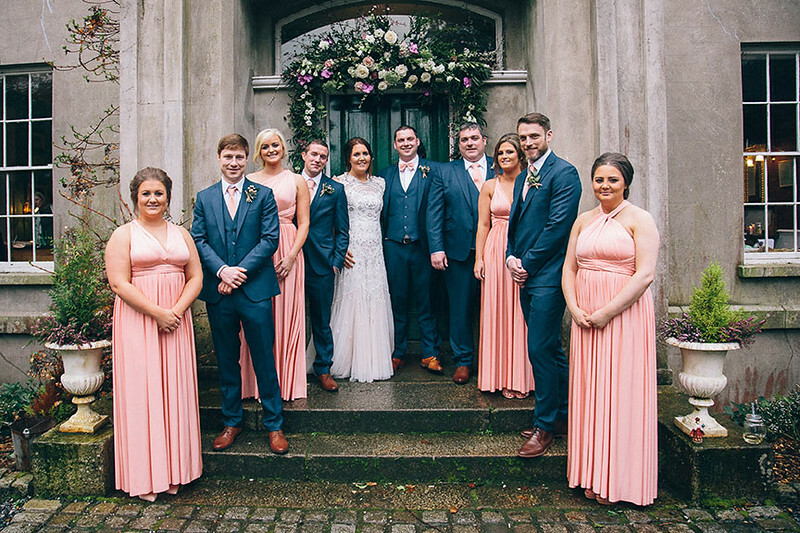 Also, with us both being from Wicklow we wanted a venue where our friends and families didn't have to travel too far and for those that did, the surrounding hotels no more than 15 minutes drive could accomodate them. Niamh and Susan were also brilliant to us. We know them so well at this point but they still treated us like every other Bride&Groom and we are so glad they opened their home up to us for our own day. Having worked with Siobhan many times, and catering her own wedding back in 2014, we knew she was our wedding photographer. 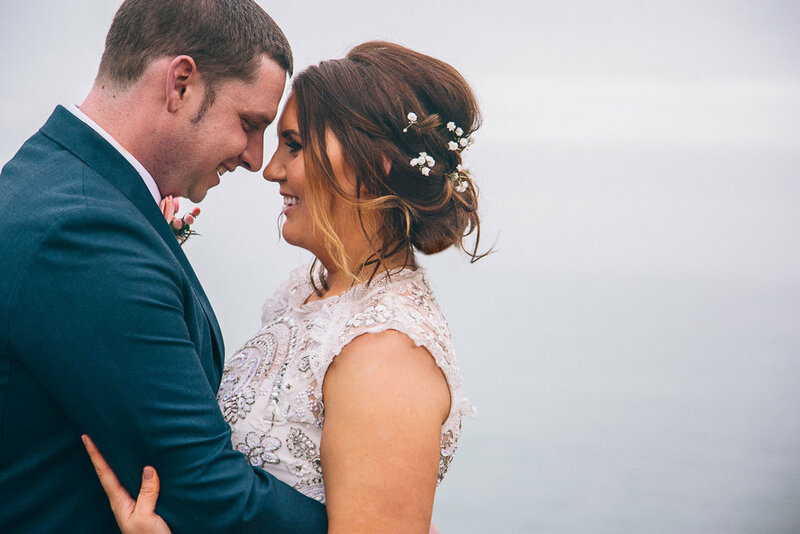 I feel we were very fortunate to work with a photographer who we knew so well and felt comfortable with - it is so important to feel at ease with your photographer as he/she spends all day with you so it helps if you can relax and have a bit of craic too! Siobhan spent time on our wedding morning in both our family homes and stuck around all day until the parry was in full swing! She was a trooper! 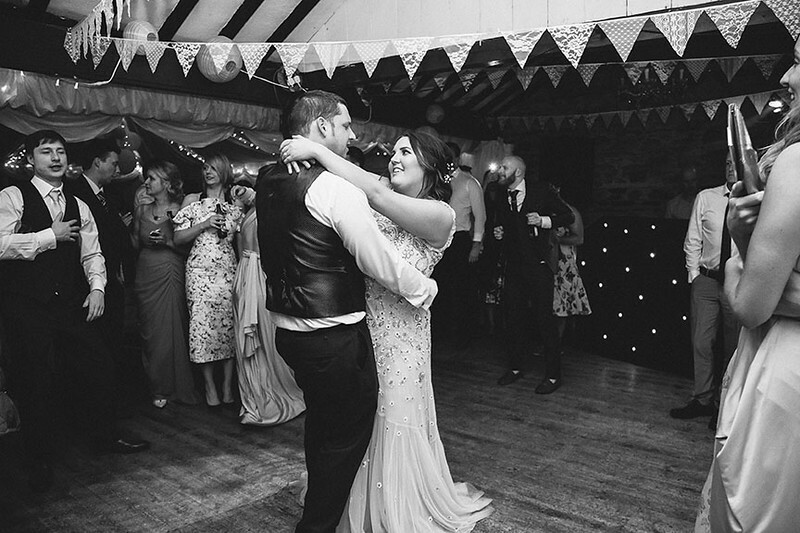 When we received our images we were incredibly happy - she captured the day perfectly! We had our ceremony in The Holy Rosary, Greystones. If we didn't work in the wedding industry I know for sure we would have had a band. But we do and someone else who does is Colm Donnelly of DJ4me. 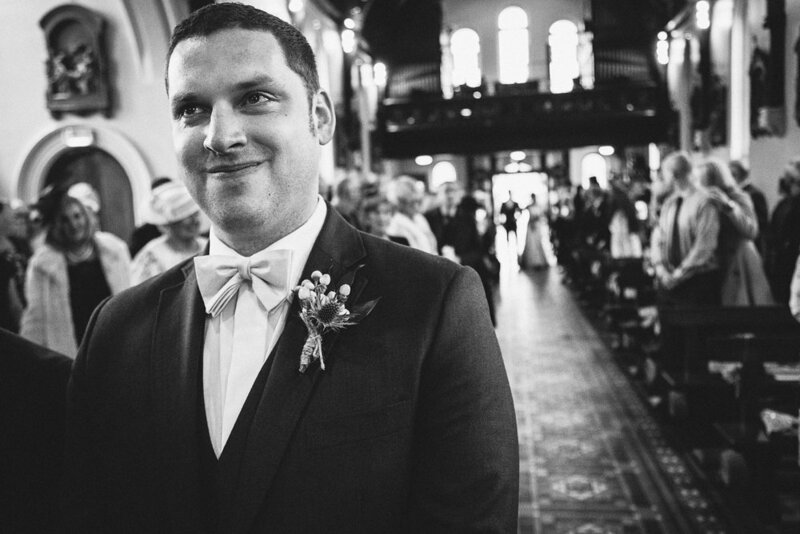 We have worked a lot with Colm at many weddings and we have seen him a few times as the only wedding entertainment and you absolutely do not miss a band. Colm is very interactive and is a master at filling a dancefloor - our guests were up dancing before we had dessert! We opted to have Colm playing light dinner music for us while having our meal which really added to the atmosphere and then he got the party going after the meal and played right through until end of night! We had an epic night and could not recommend him enough! To add to the dancefloor shenanigans Andrews brother Barry made us a hand-crafted "LOVE" sign- we loved them! We got married in a church in Andrews native Greystones. When we knew we were going to have to provide musicians we opted to enlist Kelly and Damien of Something Blue Acoustics. Again, we had seen these guys perform at other weddings and just loved their set. Kelly has the most beautiful voice and Damien compliments it perfectly on the guitar. Kelly was also extremely helpful in helping us pick our ceremony music and what would and wouldn't work. To top it off these guys also provide you with a personalised USB after your wedding with all your ceremony music on it recorded by them - it is so unique and an amazing keepsake of our day. Grabbing a quick hello with Kelly post ceremony! Being completely honest neither myself or Andrew are massive lovers of flowers. We can absolute appreciate them and have seen some stunning weddings but they were not the biggest factor in our wedding planning process. Andrews mum Beth on the other hand adores flowers and is extremely talented at flower arranging so we asked her to be our wedding florist - ha! Thankfully she was only too delighted and she put together our church flowers, venue flowers and bouquets/buttonholes. And for someone who does not absolutely love flowers I was so in love with them! She did an amazing job. I loved my bouquet so much that I couldn't throw it in the bin so I had it preserved and framed which, again, is another beautiful wedding keepsake! 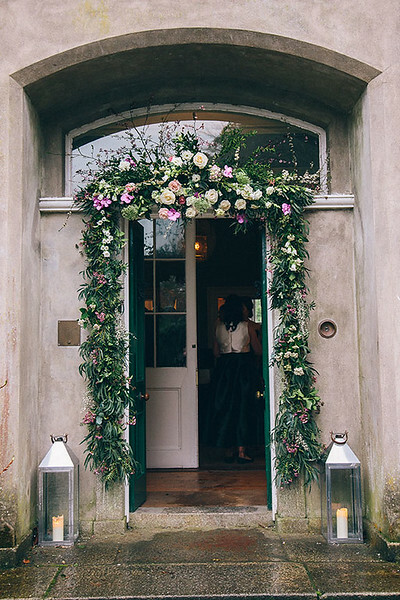 With all that said there was one thing I had my heart set on and it was a floral arch at the front door or Trudder Lodge. I had seen it done last autumn at another wedding there and knew then I needed to have it! So many people told us in the lead up to our wedding that we were insane doing the food ourselves and in the week leading up to the wedding I would tend to agree! 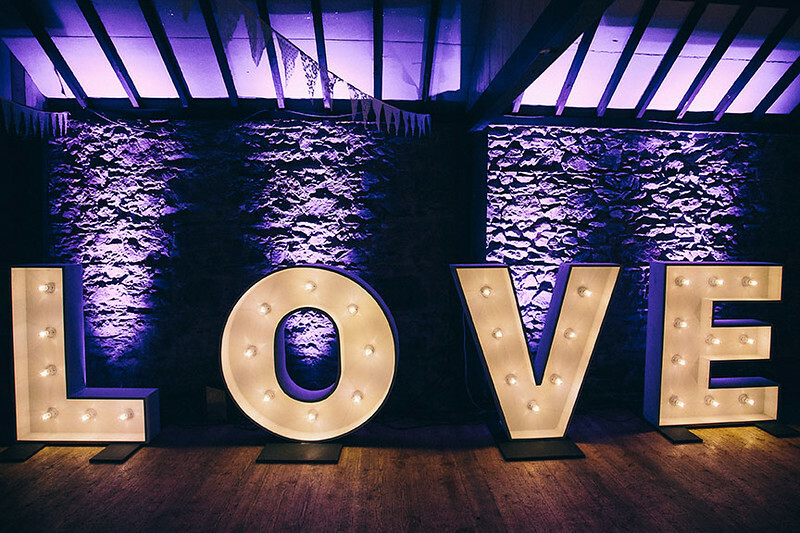 Having said that, Andrews passion is food and he had a very clear idea of the menu he wanted for our wedding day and couldn't envisage hiring someone else to do this huge task. Andrew worked the week of the wedding prepping our menu - looking back on it I now know why he was so keen as it got him off all other wedding duties!! The day before the wedding he handed the reigns over to an old colleague whom he trusted to bring our wedding menu to life, along with a team of other chefs whom he equally trusted. 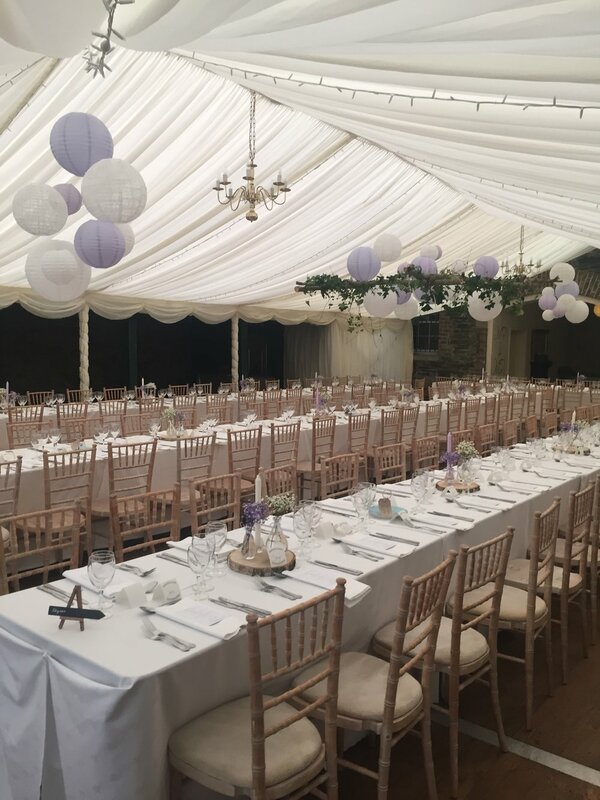 We have pretty much the same team working with us that have worked with us from day one so if we were going to be on the other side of the wedding then so were they and it was great to share our day with them alongside us. Andrew put together a "family-style" sharing menu for us. The menu complimented our banquet-style seating. For starters it was traditional antipasti with sourdough breads and dips. For mains we had char-grilled featherblade of beef with green beans, sweet potato, baby potatoes and honey roasted carrots and for desserts we had a desserts table with a selection of our favourite desserts including toblerone cheesecakes and raspberry possets. 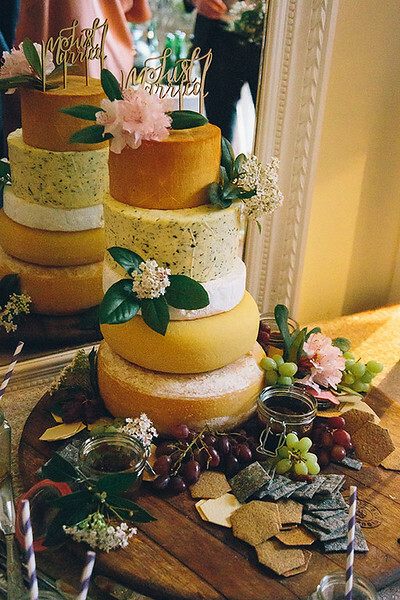 We also skipped the traditional wedding cake and went for a cheese wedding cake instead that was assembled on the day by one of our lovely staff Beth. When it comes to late-night food we always ask our clients what is your go-to food after a night out - for myself and Andrew its pizza! So what better way to help our guests with the soakage than with pizzas! For this we booked in Dave from Doughkitchen. His pizzas are UNREAL! I think myself and Andrew were first in the queue at midnight for one - ha! Highly recommend Dave - his pizzas, set-up and chefs are an all-round win and he is a super nice guy too! I had every brides worst nightmare - when my dress arrived 2 months before the wedding I hated it! Total disaster! Thankfully, I had been following a UK brand online called Needle and Thread who have the most beautiful bridal range. So I went online and ordered a dress, it came within 4 days and it was stunning - I loved it. Crisis averted! Andrew and his groomsmen also got their suits from Anne and they were great too! So there you have it, our wedding in a nutshell! Before our wedding, past clients always told us to enjoy the day and savor every moment as it goes by way too fast and there has not been a truer word spoken! So future brides and grooms - we give the same advice!